Fire Combat designs, engineers, and manufactures a wide range of high performance fire fighting systems. Our portable fire suppression systems, fire trailers, firefighting skid units, deployable fire fighting units, and fire fighting components feature innovative designs and rugged construction that makes them versatile and reliable enough for nearly any firefighting application. We’re sure to have the right fire fighting system for your unique needs. If you’re not sure which Fire Combat fire fighting system is right for your application, please don’t hesitate to contact us. Our expert team will evaluate your fire suppression requirements and help you find the solution you need. Most of our fire fighting units can be customized to meet specific performance and application requirements. 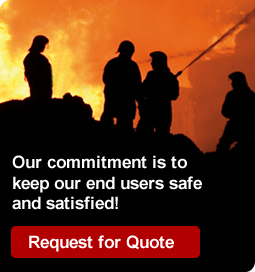 Request a quote on the fire protection system you need, or contact Fire Combat to learn more.